As you’ve noticed, I took a lot of pictures in Switzerland! Most of these remaining pictures come from the Lauterbrunnen valley area, including the towns of Mürren and Gimmelwald, with a few from Niederhorn and Beatenberg on the other side of the lake. The walk from Mürren to Gimmelwald is about the most beautiful in the world. 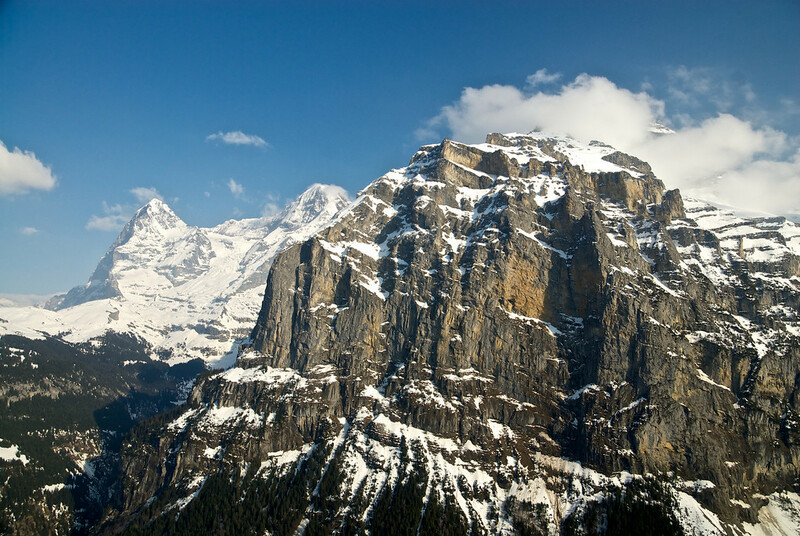 On one side, a stunning vista of Jungfrau in the foreground, with Eiger and Mönch behind. It’s so overwhelming you forget that on the other side is a beautiful view of Schilthorn. 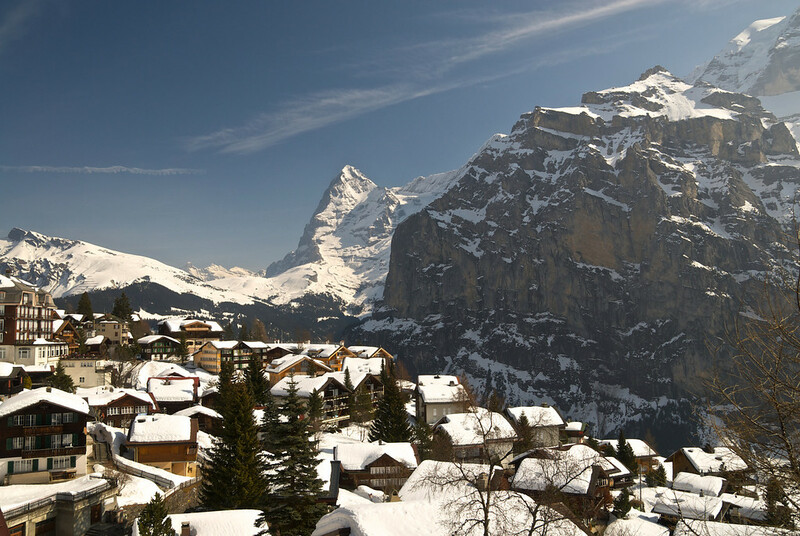 Gimmelwald is a charming farming village, well worth a visit, while Mürren is a beautiful ski village, with several decks where you can order cocoa and sit in awe of the view. 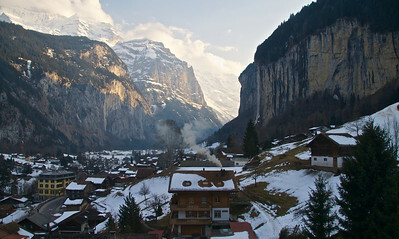 The best picture I got (above) of the Lauterbrunnen valley was going down the cable car. I walked around the town trying to find somewhere to get the last rays of sunlight shooting through the valley, but never did find a spot. The towering cliffs and waterfall are very reminiscent of Yosemite. Posted: March 14th, 2012 under Uncategorized.